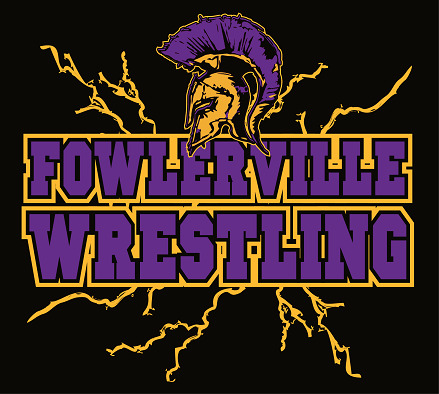 Fowlerville Wrestling apparel is now available to order online! VERY IMPORTANT: ALL ITEMS ARE MADE SPECIAL TO ORDER AND MAY NOT BE RETURNED FOR SIZE EXCHANGE OR FOR REFUND. PLEASE BE SURE TO ORDER THE CORRECT SIZE. There is a sizing chart on the page of each individual item. Please be sure to check that sizing chart before ordering. Sizing samples are also available for viewing and try on at Sports & Apparel in Fowlerville. Because of the Christmas Rush, we are committing to having BASIC AND PERFORMANCE HOODED SWEATSHIRTS done before Christmas. We will do our best to have all December 10th items by Christmas, but cannot commit to anything other than the Basic and Performance hooded sweatshirts. NOTE: WE WILL NOT BE ABLE TO HAVE THE SUBLIMATED ITEMS BEFORE CHRISTMAS. SUBLIMATED ITEMS - DELIVERY IS APPROXIMATELY 4 WEEKS. Note: Delivery date is not guaranteed, but our best estimate based on normal order processing without product back orders or unforeseen delays. We will so our very best to meet this delivery estimate. You may customize most items with wrestler name at an additional cost. All items available for customization will have a drop down menu on the description page of that item. IMPORTANT - be sure to indicate correct spelling of player name in the COMMENTS section at checkout. 1. 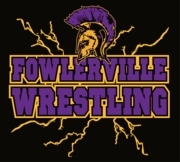 Select "In Store Pick Up" - items will be picked up at our store in Fowlerville.